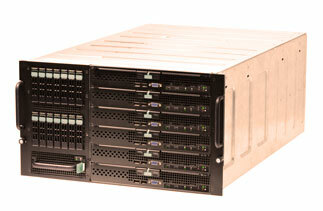 In case high performance is required dedicated servers provide numerous benefits to your business. Whether you run a resource-intensive ecommerce web site or require extra security for your web projects – having your applications running on a dedicated server gives you the warranty that you have all available resources for your application. Dedicated server hosting gives you total control over a complete server in our data centre. By means of dedicated servers based on Intel Modular Server can grow according the requirements of the project. You can decide to control your software applications yourself or we can service our solutions and NewLink will take care of the maintenance of the dedicated server. NewLink has 10 years of expertise in providing dedicated servers services.